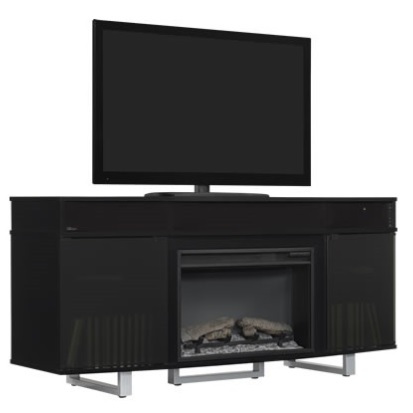 This stylish, contemporary Enterprise Lite TV stand accommodates most flat screen TVs up to 70" and up to 105 lbs. 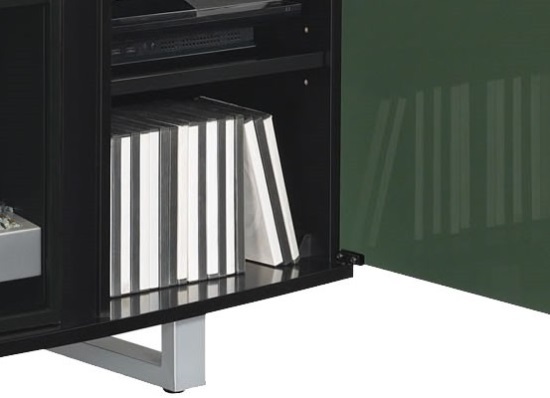 It features a Solid Black finish, partitioned media shelf for AV components, smoked tempered glass doors and Silver powder coated legs. 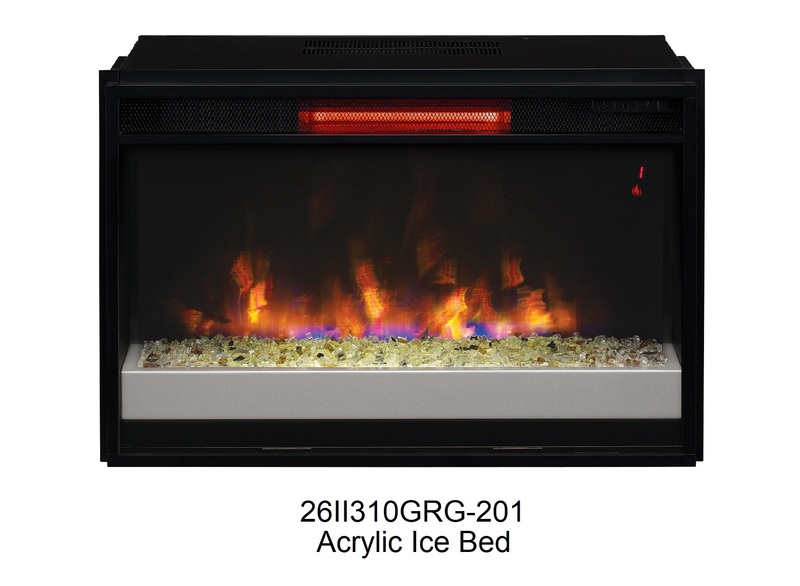 Store media accessories, books and games in the side cabinets with adjustable shelves. 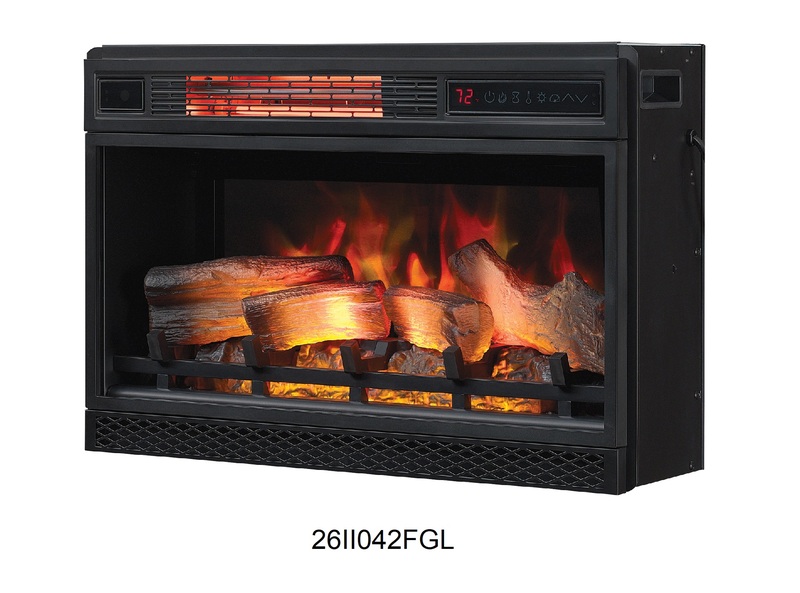 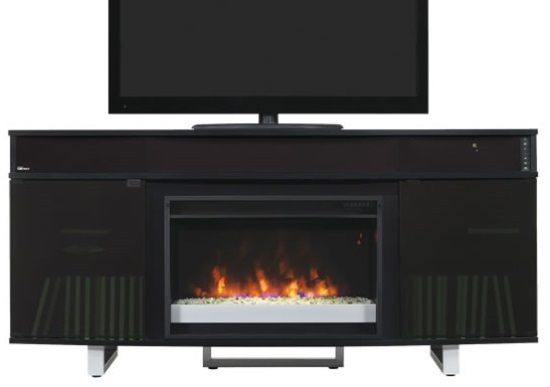 Complete this TV stand with a ClassicFlame 26" electric fireplace insert.